Millennium Resort & Spa offers a prime Cabarete bay location with our Spacious Junior Suites, which feature a private balcony with garden view, en-suite bath, and kitchenette. Luxury hotel amenities include a king size bed, flat-screen tv, and lounge area. Spacious suites with king-size bed, flat screen TV, large closet with secure safe, and sliding glass doors opening to the cozy balcony. Junior Suite: 46m² / 491 sq. ft. Please note that Junior Suites do not have an ocean view. 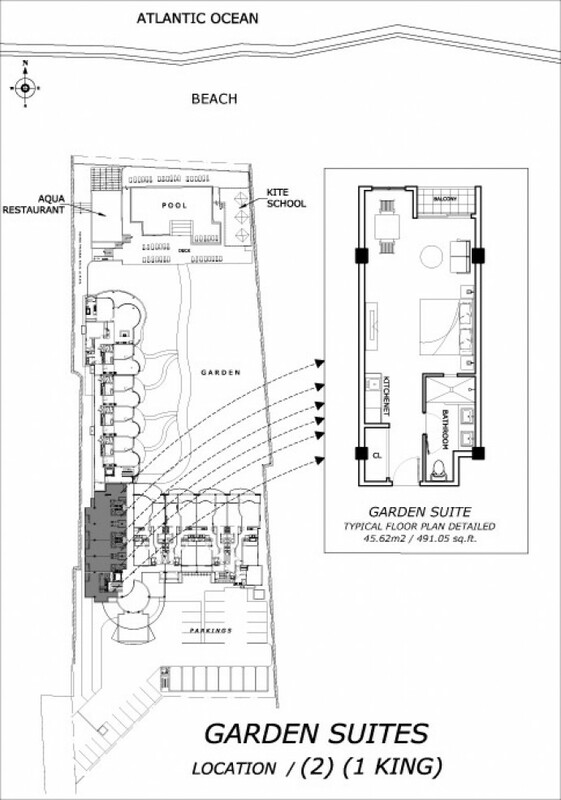 View Junior Suite floor plan and location.